If you are like me, there are some days when you just don’t drink enough water. We all know staying hydrated is important. We have been told repeatedly that drinking water is necessary not only for overall health. The human body contains 2/3 water by weight. Blood, muscles, brain matter and bones are also composed of 83%, 75%, 74% and 22% of water, respectively. Water is an essential component to a healthy body. It helps to maintain the body’s pH balance, ward off gastritis, improves kidney function, fight against kidney stones, it regulates your body temperature, improves your skin, breathing, prevents constipation, flush the body of toxins and fat, eases heartburn, and can even help to decrease migraines. It has been said that when people take medication for migraines that it may not be the medication but the water that they have drank to alleviate the discomfort. But the question is, are there steps to take to ensure we get enough water? Yes. What can we do to make sure our body and muscles get optimal hydration? Try incorporating the tips below into your everyday routine and begin feeling the benefits of a healthy, hydrated body. Many of us have a routine that includes tracking what exercises we do or plan to do for a particular day. 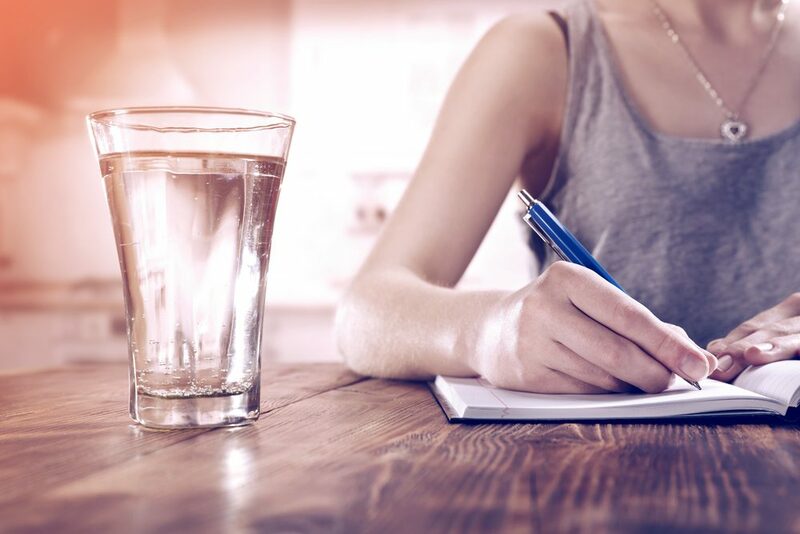 We spend time writing out or finding workout plans to follow step by step and even follow nutritional programs to a T. Why not take the same approach with water intake? 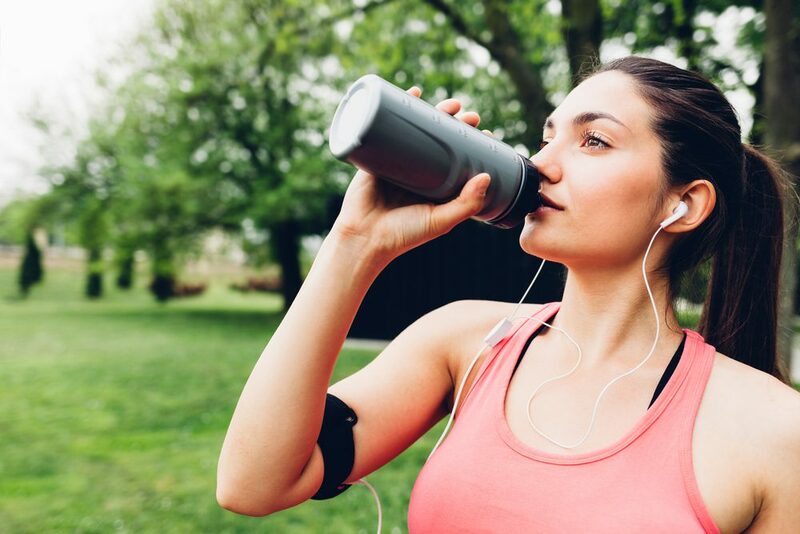 Try planning water intake into your exercise routine. This ensures that you will take the time to hydrate during an intense workout and keep your body performing at its highest levels. Most of us know the amount of water we should consume on a daily basis. For those who don’t, divide your weight by 2 in order to figure out approximate water intake in ounces per day. Let’s go a step further and break down when those amounts of water should be taken in. Planning how water intake should be spaced out throughout the day, allows us to stay on track and turn the act of drinking water into a healthy habit. Having water close by your side instead of taking time out of your day to actively seek it out can help ensure you are constantly drinking a healthy amount of water. The simple fact of having water next to you will create a subconscious trigger to drink it throughout the day. Drinking water can become a mundane task and lose some of its glamor with the quantity needed to be consumed. A great way to keep your water intake fresh and exciting is to increase the amount of water your body is receiving from the foods you choose to eat. Some fruits and vegetables are made up of 80-90% water; providing you the opportunity to eat healthy and hydrate your body. If the taste of plain water doesn’t enthuse you, try to add fruits to infuse into your water, boosting its flavor and creating a nutritious snack as well. I hope these tips help you to increase your water intake. Great tips! I don’t really schedule or divide my water intake but I do challenge myself to drink more water before I do (insert task). It helps a lot. I was drinking half my body weight in ounces for a while but got off track with that and am now getting in the bare minimum recommended, the “eight cups.” I know I need to drink more, but it can be tough some days. It takes dedication to work your way up to how much you should really be getting, which can also be different for everyone! You know 8 cups is a great start. Some people can handle half the body weight, while others can’t. Hopefully these steps can help. Small steps lead to big results.